In connection with the "Enlightened Princesses" exhibition at the Historic Royal Palaces (June 22nd to Nov 12th 2017), Naomi presents a programme of violin and early keyboard exploring the music making of the Royal Princess Charlotte of Mecklenburg-Strelitz. She married George III in 1761 and was an enthusiastic patron of the arts as well as a fine musician herself, inviting the likes of W.A. Mozart to her court who dedicated a sonata to her. Naomi and Andreas will also play music by some of Charlotte's teachers, J.C. Bach and Johann George Linike. British-Swiss violinist Naomi Burrell studied on the prestigious joint course between the University of Manchester and the Royal Northern College of Music, gaining a first class honours at each institution. 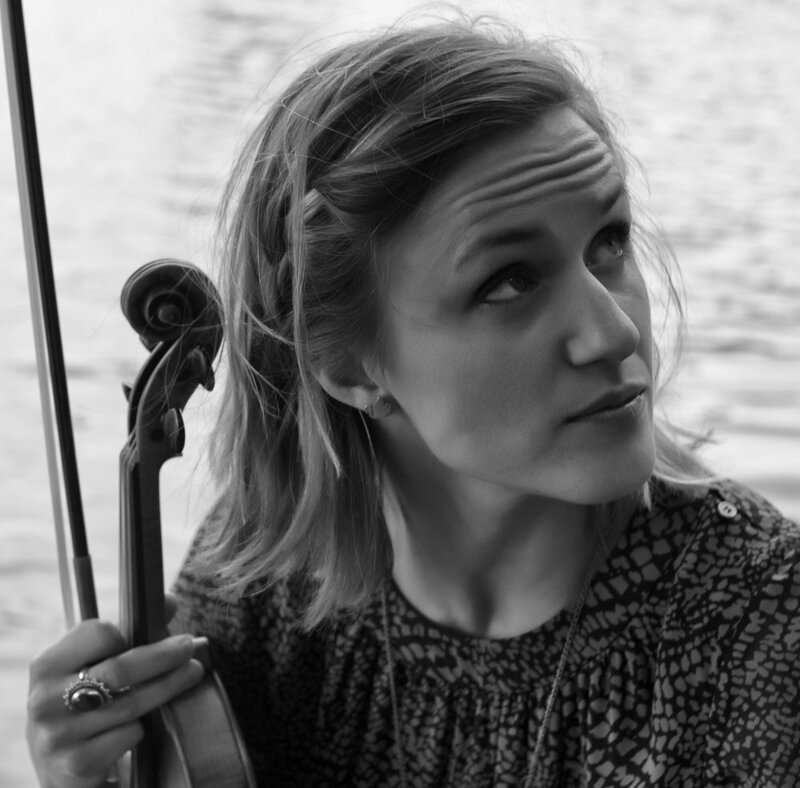 She then studied on the Historical Performance Mmus Programme at the Royal Academy of Music, specialising in baroque violin with Rachel Podger and Matthew Truscott and graduated in 2011. After her experiences touring with the European Union Baroque Orchestra in 2009, Naomi co-founded New Century Baroque, a young baroque orchestra with members from all around Europe which she often leads and occasionally directs. As a freelance orchestral violinist, she regularly plays in several groups internationally including under Il Pomo D’Oro (Italy), Capella Meditteranea, Opera Fuoco (France), Os Músicos Do Tejo (Lisbon) and with Musica Saeculorum (Italy/Germany). In 2012 Naomi participated on the Ann and Peter Law OAE Experience scheme for Young Players with the Orchestra of the Age of Enlightenment under directors such as Simon Rattle and Robin Ticciati. In the UK, she plays with several orchestras including Classical Opera Company with whom she will perform at the Wigmore Hall in January and she has appeared several times as a soloist with the Wallfisch Band. Andreas Gilger was born 1991 in Duisburg, Germany. He studied with Christian Rieger (Harpsichord, Continuo and Performance Practise), Wolfgang Kostujak (Continuo, Performance Practise) and Roland Maria Stangier (Organ) at Folkwang University, and with Michael Borgstede at the Hochschule für Musik und Tanz Köln. Further valuable input came from Andreas Staier and Christine Schornsheim. Andreas Gilger has been active as a harpsichordist and organist on CD recordings and stages all over the world, as a soloist, in chamber music and with ensembles such as Das Neue Orchester (Christoph Spering), Kölner Akademie (Michael Alexander Willens) and l’Arte del Mondo (Werner Ehrhardt). Festivals at which he has played include the Tage Alter Musik in Herne, the Felicja Blumental Festival in Tel Aviv, the Shanghai International Arts Festival and the Festival Musika Música in Bilbaio. In 2013 he founded the Cicerone Ensemble with Thomas Wormitt (Traverso) and Adrian Cygan (Baroque Cello). In 2015 they were awarded a scholarship during the Deutscher Musikwettbewerb, as well as a scholarship by the Köhler Osbahr Stiftung. Since 2016 Andreas Gilger holds a post as lector for harpsichord, figured bass and as a répétiteur at the Mozarteum in Salzburg.